Believe it or not, my oldest son loves to help me bake and decorate for all of the holidays. I think that he’s caught on to the fact that if he helps out in the kitchen, he can be the first to taste test whatever goodies are coming out of the oven. I can’t blame him though, especially this time of year when there is constant baking going on at our house. 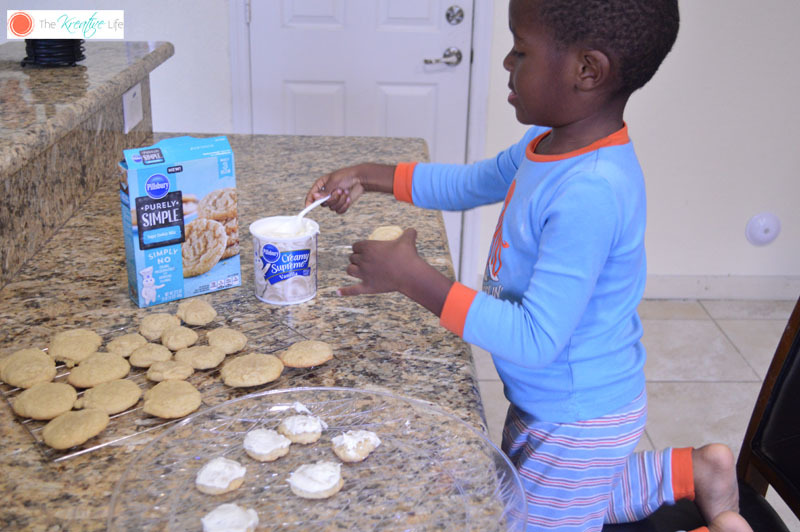 I’m glad that he does like being in the kitchen with me because it teaches him how to follow step-by-step instructions, allows him to be creative, and we get to have some bonding time together, especially when making these Winter Wonderland Sugar Cookies. Now that the holidays are here and we’re baking something every couple of days I really enjoy spending time with both of my boys in the kitchen. I’m in a house full of males, so there are constant sports, rough housing, and injuries. It’s nice to take a break from all of that with a little bit of baking. It calms everything down and I get a chance to relax, as well. Sometimes I allow my oldest son to choose what we’re going to make and this time he chose cookies. We headed to our nearest Publix and decided to try something a little different this time. 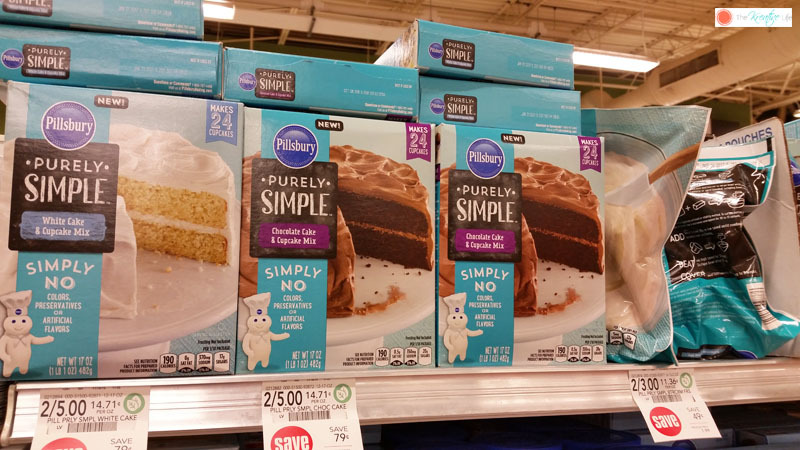 We found the Pillsbury™ Purely Simple™ Baking and Frosting Mixes and decided to give them a try. I love the fact that the ingredients are simple and that they contain no colors, preservatives, or artificial flavors. That’s a bonus in my book! 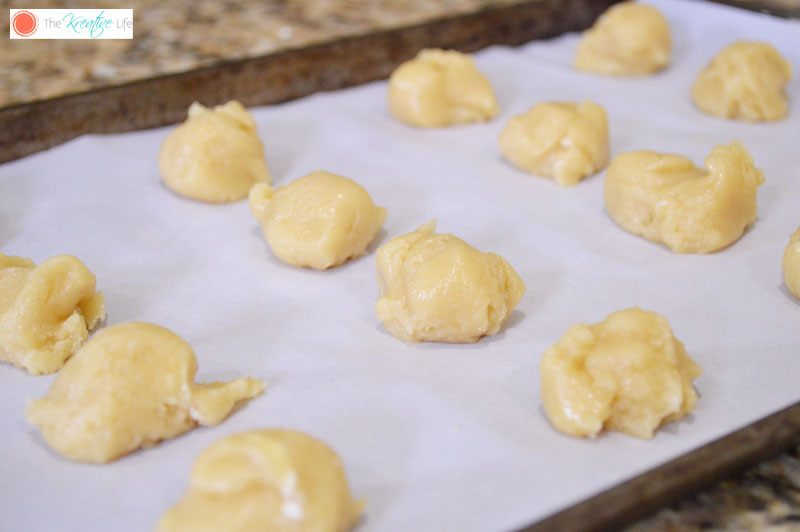 Since the ingredients are easy and simple, we decided to make our whole baking experience pretty easy. 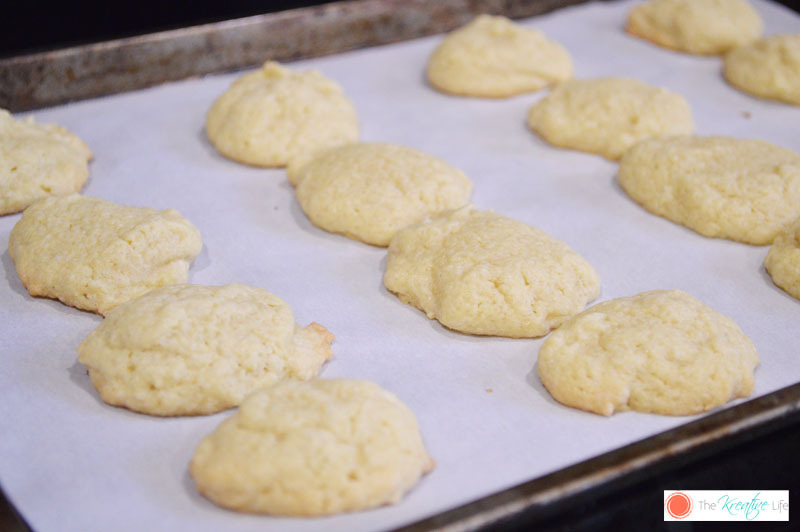 I personally know that baking for the holidays gets really hectic so making something as easy and delicious as these cookies takes a lot of stress out of baking for holiday guests. We baked the cookies according to the directions on the box. I did make some of the cookies bigger than a rounded teaspoon, just because I like bigger cookies. 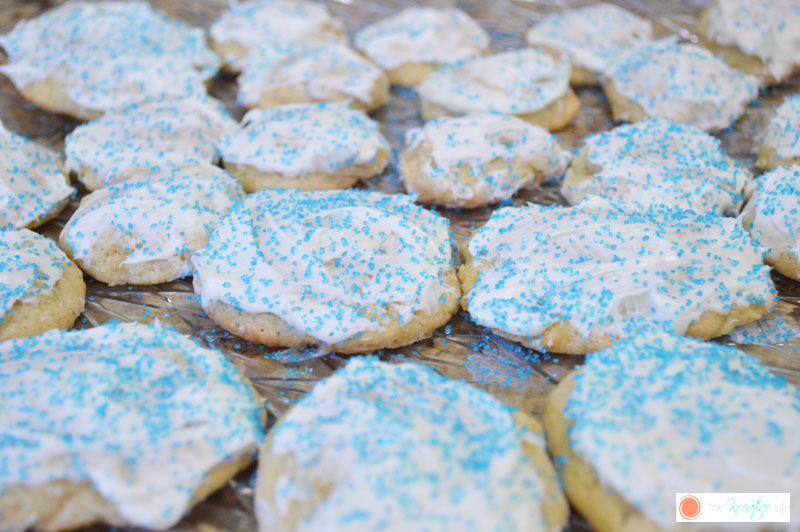 We topped them with Creamy Supreme® Vanilla Frosting and added some blue sprinkles on top. 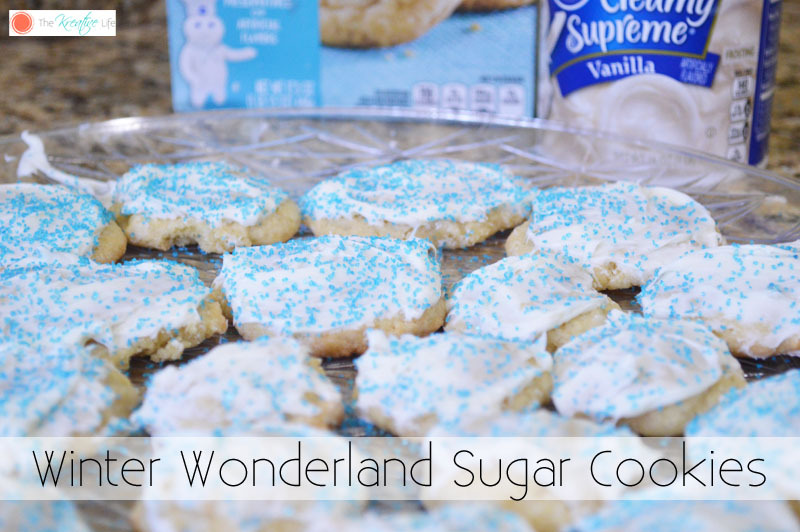 My son said the cookies reminded him of snowflakes, so we named them Winter Wonderland Sugar Cookies! What’s your favorite holiday baking recipe? If you’re still looking for ideas, you can find some yummy recipes here to share with the entire family. Visit www.pilsburybaking.com for more information, tips, and recipes. Like us on Facebook, follow us on Pinterest, or follow us on Instagram @PillsburyBaking. All my kids love to bake, shape and frost sugar cookies every holiday! It is a tradition – like you are creating! Great idea and something I could do with my son this month. Thanks for sharing. 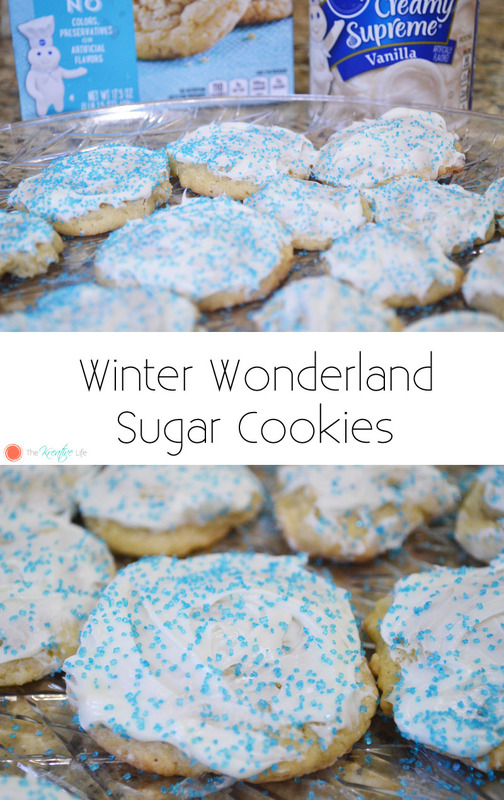 All my kids love to bake, shape and frost sugar cookies every holiday! 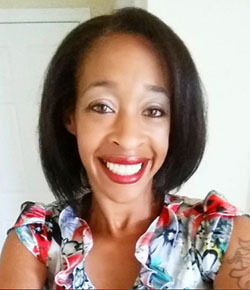 it’s far a subculture – like you’re growing!